We teach WingTjun martial arts in a fun and friendly environment to adults and children. With locations in Slough, Windsor, Maidenhead, Watford, Hemel Hempstead and Bracknell, it is a good way to improve your fitness, confidence and coordination. Our system is suitable for people of all ages and all walks of life. WingTjun borrows the energy from the opponent, making it a difficult task to land and punch or kick. Call us or Fill in this form for 2 FREE lessons. We are open 7 days a week, any question please feel free to contact us! Our FREE Martial Arts lessons give you the opportunity of experiencing WingTjun Martial Arts at the location of your choice with no commitment. One of our instructors will introduce you our school, you will meet other students and under close supervision. All you need to do is book your FREE lessons which we will confirm in advance before you start your lessons. On the day, please arrive in plenty of time, wear a tracksuit and t-shirt and bring a bottle of water. 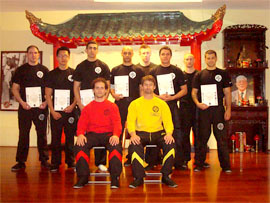 Having enjoyed your WingTjun Martial Arts experience, you ask questions you may have, and let us guide you to a martial art technique level in a fun environment. We look forward to seeing you at one of our schools soon. Our FREE trial lessons are also available for under 18’s who must be accompanied by a parent or guardian. Our FREE Martial Arts lessons give your child the opportunity of experiencing WingTjun Martial Arts at the location of your choice with no commitment. All you need to do is book your child’s FREE lessons which we will confirm in advance before you start your lessons. On the day, please arrive in plenty of time, wear a tracksuit and t-shirt and bring a bottle of water. Having enjoyed their WingTjun Martial Arts experience, you and your child can ask questions and let us guide you to a martial art technique level in a fun and safe environment. * Under 18’s must be accompanied by a parent or guardian.